Rest in peace? Does Breitbart’s LGBT inclusion outweigh his misdeeds? 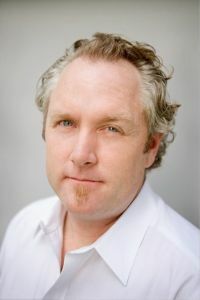 Conservative “hero” Andrew Breitbart has died, confirmed by ABC News and Metro Weekly among others. Be sure to hop over to Metro Weekly to read the rest of Chris’ piece and other Breitbart comments. Breitbart’s support of LGBT inclusion is important, especially because of his pivotal role in conservative America. But does his support on this one issue outweigh his support of measures that hurt other minorities or the poor? In other words, how much of an ally can we say Brietbart was if he remained hostile to significant portions of our community who are not wealthy, white and otherwise privileged? A Charlotte conservative is telling anti-gay Republican Mecklenburg County Commissioner Bill James it is time for him to go and for voters to support his Republican primary challenger, Ed Driggs. Lewis Guignard writes at Pundit House, a conservative Charlotte news and commentary site, that James’ reckless focus on socially conservative issues has damaged James’ supposed focus on fiscally-conservative issues, as well as damaging the local Republican Party. 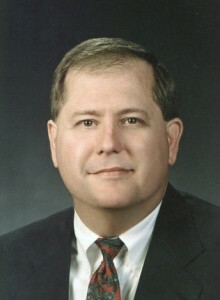 In fact, one of the reasons for the demise of many fiscal conservatives on the board of commissioners in the late 1990′s were the social conservative issues that James brought to the fore. From this decline, the Republican Party in Mecklenburg County has never recovered and as long as people such as Bill James are in office it never will. In fact, one of the major problems of the Republican Party today is the catering to social conservatives. If there were no other reason, that alone would be an excellent one for Republicans to vote for Ed Driggs. But there are other reasons, some of which have already been delineated by Driggs on the campaign trail. Using slurs to describe transgender people, calling bisexuals promiscuous and continually reasserting that sexual activity between gay people is still illegal. Calling the dead, gay son of his colleague an anti-gay slur in the middle of a commission meeting. Saying the anti-LGBT amendment was about keeping LGBT people out of North Carolina. Using religion, out-dated science and bigotry to oppose anti-LGB non-discrimination ordinance (more…). Obviously, the list above isn’t exhaustive. Certainly, it’s not even the tip of James’ bigoted iceberg. He’s been engaging in character assassination against entire communities of people — and not just LGBT folks — for decades, beginning in the mid-1990s with Charlotte’s “Angels in America” and arts-funding controversy (more background…). Obviously, the “Big Tent” that is the Grand Old Party isn’t. People like James prevent that. People who vote for people like James prevent that. Speaking of which… I wonder if all those mega-churches and good Christian folk in southeast Mecklenburg County really approve of all James’ harshly-worded and vulgar comments? They must… they keep supporting him. NCPW has a great look into some North Carolina legislators’ responses to constituent contacts they received from students in Rutherford County. At the center of the debate is a bill that would lift the cap on charter schools in the state, the effect of which would ultimately take away more funding from traditional public school systems. The jesting began after a number of students from the Western North Carolina county emailed lawmakers about legislation affecting the state’s charter schools and the funding they get from traditional public schools. Some of the emails arrived with grammatical and spelling errors, and that became an opening to start joking about the failings of the state’s public school system. “Are English and writing still ‘apart’ of our core curriculum in North Carolina?,” wrote Rep. John Blust, a Greensboro Republican, in response to a student who said he was “apart of RS Central,” a high school in the Western North Carolina county. “From the emails we are receiving I would say no,” quipped Rep. George Cleveland, a Jacksonville Republican, in response. Blust and Cleveland sent their March 9 remarks to an email chain that included bipartisan House education committee members who held hearing earlier this month on Senate Bill 8, a GOP-backed bill that could lift the 100-school cap on charter schools and allow charters more access to public funding streams and oversight outside of the N.C. State Board of Education. Perhaps the worst exchange came from state Sen. Debbie Clary (R-Cleveland, Rutherford). Though she didn’t join in poking fun at students, her response — calling a polite, well-written constituent letter “disrespectful” — nonetheless shows just how little care she has for students’ thoughts and opinions on bills that greatly impact them. Read that student’s email and Clary’s response here. 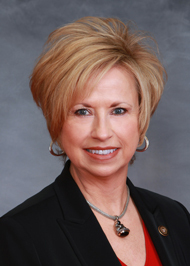 State Sen. Debbie Clary, a Republican who represents the Rutherford County area, had forwarded some of the jokes made by legislators about the schoolchildren’s grammar to Rutherford County School Superintendent Janet Mason to show her what was being said about the schoolchildren and to urge the students to either stop writing or at least use proper grammar. (Clary doesn’t always stick to the proper grammar and punctuation and rules in her electronic communications, as seen in this email she wrote to a constituent that was posted on the anti-Senate Bill 8 site). Clary was referring to an email a 17-year-old high school senior had sent her, in which the student expressed concern that funding destined for charter schools could mean cuts to traditional public schools. Clary later said in an interview that she thought the student had sent her a well-written email, and that she was impressed with the student’s clarity and writing ability. Go, Guvnah, Go! North Carolina’s GOP has shown their true colors this year, attacking the poor, LGBTs, students and immigrant communities. Shamelessness at its best. And, in all their time targeting the folks who have the weakest voices in Raleigh, they’ve yet to move the state forward on any job creation. Way to go, guys and gals. You’re proving your worthlessness all by yourself. 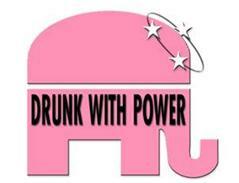 I’m looking forward to a Republican minority again in 2012. This past week, in an out-of-the-blue announcement, the House Speaker and Senate President Pro Tem decreed that they would only allow passage of a mostly technical legislative change to extend the federally-funded unemployment benefits of around 37,000 jobless workers if Governor Perdue agreed ahead of time to the GOP’s proposed state spending levels for fiscal year 2012. Got that? In order to short-circuit negotiations and force the Governor to agree now to a FY 2012 budget that slashes state spending by 13%, Republican leaders are willing to hold 37,000 families hostage and deny them their modest insurance benefits (on average, around $300 per week). The leaders combined the two unrelated topics into one bill, passed it in near-record time and now plan to deliver it to the Governor tomorrow – the day the unemployment benefits are scheduled to expire. Any suggestion that the governor is unwilling to work with General Assembly leaders is absolutely untrue. The ones who should be ashamed are the lawmakers who for weeks have had a clean bill to fix continue unemployment benefits. They did nothing. Thirty seven thousand people will suffer an end to their benefits for one simple reason: Republican leaders are more interested in winning than in doing what’s right. If the governor signed the bill, the door would open for thousands of teachers to lose their jobs. Children would lose health services. Mentally ill would have even fewer places to go for help. Public safety services would weaken. North Carolina would be set back decades. This is the time for leadership, not games. We are so sorry those 37,000 fellow North Carolinians are suffering because Republican leaders are only interested in themselves. 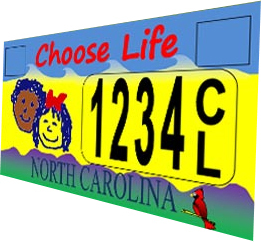 A bill to allow the creation of a “Choose Life” specialty license plate resurfaced Monday in the North Carolina Senate. The bill has been filed in previous legislative sessions as far back as 2008, though it’s never advanced. Democratic leaders in the House and Senate wouldn’t touch the bill with a 10-foot pole, but now, under Republican leadership, pro-choice advocates should be concerned with the bill’s possible success. N.C. GOP, is this the week for jobs? Despite all the high-minded, feel-good rhetoric last fall about creating new jobs and saving the state from a budget crisis, one would be hard-pressed to find any evidence last week that GOP leaders in the North Carolina House and Senate were gung-ho about tackling what they’ve described as the number one legislative agenda item. Newly-elected House Speaker Thom Tillis even wore and passed out to other legislators rubber bracelets that read, “Think Jobs” on the opening day of the new legislation session last week. He told his colleagues to snap themselves with it if they found themselves thinking about anything other than the economy. From the list of introduced bills in both the House and Senate last week, the North Carolina taxpayer is left wondering: Exactly who’s paying for the doctor visits resulting from the bruises and lacerations from too much bracelet-snapping? Out of 26 bills introduced last week, not a single piece of House or Senate legislation dealt with jobs, the economy or the state budget, which, by the way, faces a $3.7 billion shortfall this year. What GOP leaders did have time to do, apparently, was start in earnest their attacks on the poor, undocumented young people, community college students and public education. Republicans’ election into the majority was clearly prompted by economic issues; the people spoke firmly. Voters want legislators to deal with pressing issues like job creation, the reversal of a downtrodden economy and the creation of a state budget that solves gaps while maintaining much-needed human services. For all their usual talk about “mandates” from voters, Republicans sure did prove themselves uncaring last week. Legislators return to Raleigh this evening and tomorrow to start a new week doing the people’s business. Perhaps this week will be their turn-around: Lay off the social agenda and get to work for the people. “It is The Advocate, not Sarah Palin, who is guilty of ‘gay-baiting.’ I don’t think most people associate the words ‘impotent,’ ‘limp,’ or ‘gutless’ with being gay – I know I certainly don’t. If the folks at The Advocate think these words are euphemisms for being gay or lesbian then I think that speaks volumes about their own internalized homophobia. Exactly how can GOProud justify defending an anti-LGBT Republican leader? It would be like me trying to defend the anti-gay behavior of my anti-gay, childhood pastor. It makes absolutely zero sense. Four years after Congress last seriously considered a federal constitutional amendment on marriage, Florida Gov. Charlie Crist, who is running as an independent for U.S. Senate, managed to broach the issue Sunday in an interview on CNN’s State of the Union. 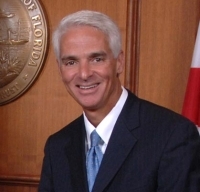 Crist faces a tough, three-way race against Republican Marc Rubio and Democrat Kendrick Meek. As CNN reports, Crist finds himself in the awkward position of attempting to play all of his politics in a middle-of-the-road style – not as conservative as Rubio and not as progressive as Meek. Obviously, it is a strategy meant to appeal to moderates and independents. It’s also strategy that might have zero chance of working, especially if Crist’s confusing and/or unclear statements bring up specters of legislative fights long ago considered dead. That’s exactly what happened yesterday. At the end of July, Blue America and our pals at the Americans For America PAC launched the first in a series of videos that highlights what kind of people now lead the Republican Party. We featured Sarah Palin, Rand Paul and John Boehner. And we asked the readers at DWT,C&L and Digby’s Hullabaloo to tell us who to do the next ad for. Lots of votes for Ken Calvert and Michele Bachmann but it was North Carolina reactionary haridan Virginia Foxx who got the most votes. “Dishonest politicians try to divide us and turn us against each other in order to win an election on wedge issues. Politicians of both parties emphasize wedge issues to distract us and avoid talking about the serious problems we face. It is a tactic used to mislead us in order to hide how they really vote about issues that matter. “More and better jobs, a commitment to Medicare and Social Security, fair taxation, and the failure of bailouts and subsidies to corporations are not wedge issues. I want to make it clear. I support freedom and equal rights for all people. I will protect all individuals’ Constitutional rights, without allowing politicians to pick and choose which Amendments deserve to be taken seriously. The ad isn’t yet running, but you can contribute and help make it happen.